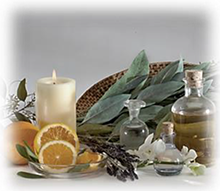 About Us | Natural Patches of Vermont, Inc.
A family-owned and operated business located in beautiful southern Vermont, Natural Patches of Vermont creates aromatherapy body patches, specially formulated to enhance the body’s natural desire for equilibrium, and to promote a sense of balance for the body, mind and spirit. 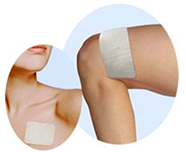 As the Original Essential Oil Body Patch©, Natural Patches are very easy to apply, and provide discreet, personal aromatherapy where you need it, and when you need it. The inherent portability of our Patches makes them perfectly suited for use at home, at work, at play, and when at rest – any time and any place that you seek the benefits of personal aromatherapy. As our name would imply, Natural Patches are just that – essential oil body patches made using only the finest natural ingredients available. Natural Patches contain no synthetic fragrances, no colorings, nor preservatives. All of our patches are latex-free. Natural Patches are cruelty-free, contain no animal-derived ingredients and are never tested on animals.